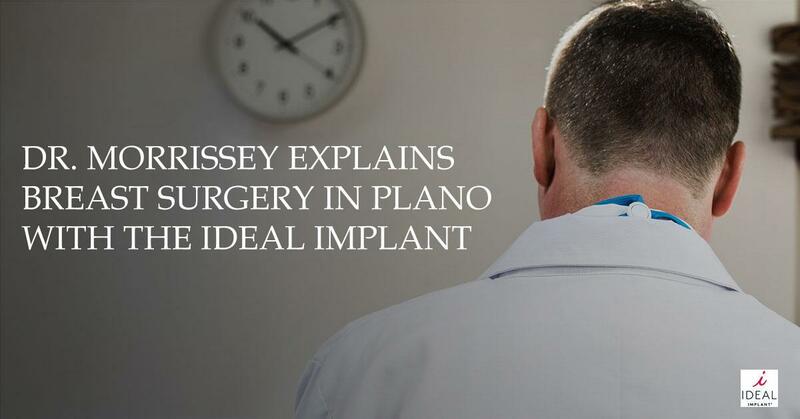 Women considering breast surgery in Plano, TX, can now receive the IDEAL IMPLANT® with Dr. J. Michael Morrissey. Women are no longer forced to choose between the natural feel they want, and the security they deserve. Using the latest in implant technology, IDEAL IMPLANT Structured Breast Implants combine the realistic look and feel expected with silicone gel, and the peace of mind that comes with saline. The IDEAL IMPLANT is only available to plastic surgeons board-certified or eligible for certification by the American Board of Plastic Surgery. Dr. Morrissey is part of this exclusive group eligible to offer the IDEAL IMPLANT. He recently spoke about why he believes the IDEAL IMPLANT is great choice for his patients seeking Plano breast surgery. Why are some women reluctant to pursue breast augmentation? Will you describe the benefits of this new breast implant option? If a woman is interested in learning more about the IDEAL IMPLANT, what should she do? With the IDEAL IMPLANT now available, there is no better time to pursue your Plano breast surgery and achieve the look you desire. If you are considering breast surgery in Plano, TX, contact Dr. Morrissey today to discuss your options. Simply call 972-372-9313, or visit drmorrissey.net. Dr. Morrissey’s office is located at 5316 West Plano Parkway, Plano, TX 75093. Call today for more information on IDEAL IMPLANT® Structured Breast Implants.